There is no place in the world like Scotland. Famous for its Scotch whisky, golf, medieval castles, emerald landscapes and unique culture, it is a country of quirky charm and historical mystique. Scotland is home to over 5.4 million people and over 790 islands. Attractions include Edinburgh Castle in Edinburgh, Loch Lomond in Glasgow and the Northern Highlands. Get ready to discover the eccentric northern side of the United Kingdom with cheap flights to Scotland. The capital of Edinburgh is home to Edinburgh Airport (EDI), which is a 25-minute drive, or 30-minute train ride from the city. Edinburgh Airport serves a multitude of airlines, including British Airways, Qatar Airways and Air France. Popular international flights to Edinburgh depart from Johannesburg and Cape Town. Flight duration from Johannesburg is approximately 14 hours. The castles of Scotland are legendary. The castle trail offers a chance to explore some of the most famous fortresses, be awed by the enchanting beauty of clifftop ruins, and spend a night in a fairytale castle. From mysterious lochs that inspired legends and glittering velveteen coastlines that roused poets, to the iconic emerald highlands and mystical woodlands of Argyll, Scotland is famous for its dreamy landscapes. With traditions dating back thousands of years, Scottish culture is peculiar and utterly unique. Try authentic Scotch whisky and traditional haggis, then don a kilt and learn to play the Great Highland bagpipe. Scotland experiences a temperate climate, with warm summers and cold winters. Temperatures can range from 1 degree Celsius in winter to 19 degrees Celsius in summer. Rainfall is abundant throughout the year. The best time to visit Scotland is during the shoulder months of May, June and September. Rhododendron and wildflowers bloom in May and June, the weather is mild and dry, and the crowds are scarce. For wonderful weather and festivals, the best time to visit is during the summer months (June to August). This is high season for tourists and midges. Although the winter months (November to March) are cold and gloomy, it is a great time to visit if you want a holiday filled with winter sports, snowy landscapes and cosy nights around the fire. Notable events include the Hogmanay Festival, Beltane Fire Festival and the iconic Highland Games. For cheap flights to Scotland, the best time to visit would be between November and March (with the exception of the festive season). Scotland is a country of legends and romance. It has inspired legends of mystical monsters dwelling in glittering lakes, ignited the minds of philosophers, and roused the passion of poets and dreamers. It gave the world golf, the ethereal music of bagpipes and single malt Scotch whisky. And it made tartan cool. History permeates the landscape of Scotland. Explore the ancient fortresses of Stirling Castle and Edinburgh Castle, wander through the ruins of Neolithic villages, and visit the prehistoric monuments of Callanish Stones on the Isle of Lewis. For a taste of Scottish culture, learn to play the bagpipes at the National Piping Centre in Glasgow, head to Dufftown for a taste of real Scotch whisky, visit Old Town in Edinburgh, or attend the fiery Vikings festival of Up Helly Aa. 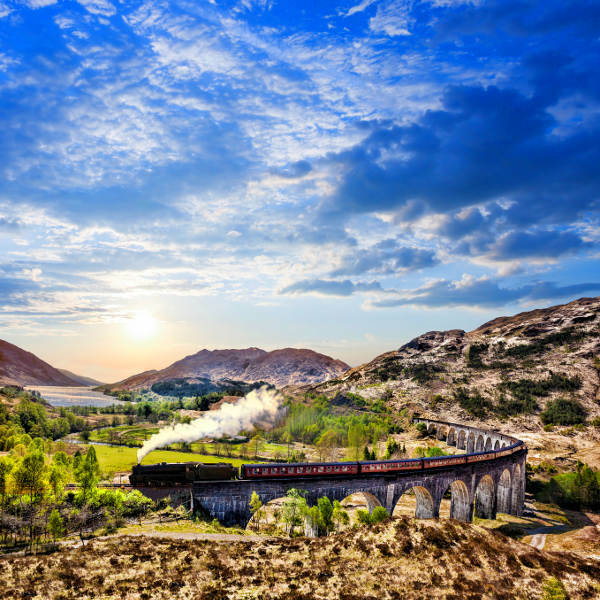 Be sure to try traditional dishes such as Arbroath smokie and mince and tatties, ride on the real Hogwarts Express across the Glenfinnan viaduct, and head to the coast of Caithness in February to see the Northern Lights. Scotland invites you to embrace the weird and surrender to the wonderful. 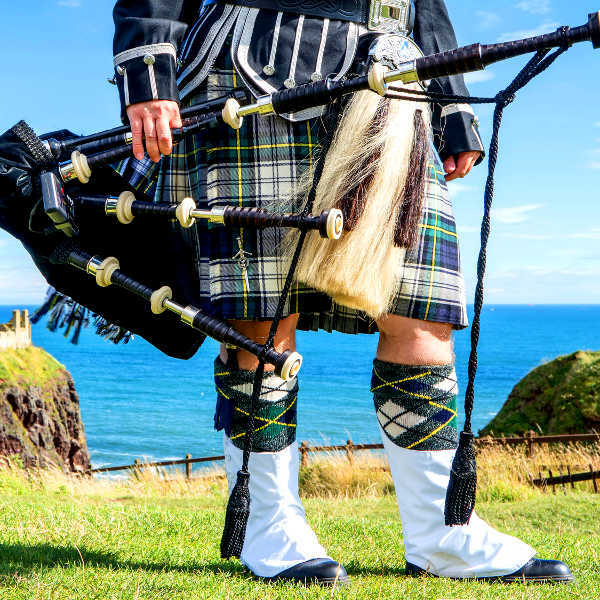 Compare several airlines, and book your cheap flights to Scotland online at Travelstart! South African passport holders require a UK visa to enter the United Kingdom. You will need to ensure your passport is valid for at least six months and two blank pages for entry stamps. Applications can be done through the GOV.UK website. The South African Honorary Consulate is located in Glasgow. The South African High Commission in the UK is situated in London. Scotland is a safe country. However, it is recommended that you use common sense and remain vigilant as you would in any other unfamiliar country. Travel insurance to cover theft and medical expenses is recommended. Make use of Black Cabs and pre-ordered minicabs when travelling at night. Areas such as Muirhouse, Pilton, Niddrie, Craigmillar, Sighthill and Wester Hailes should be avoided completely, while the Meadows, Grassmarket, Cowgate, Tollcross and Lothian Road should be avoided at night. Avoid carrying large sums of cash and valuables, as pick-pocketing can happen. Steer clear of rowdy football fans, particularly during games. Proof of yellow fever vaccination is required if you are travelling from an infected area. Use bug spray to avoid midges (tiny insects that are common in summer and cause itching). Immunisation against hepatitis A & B and rabies is recommended. Other routine and recommended vaccinations include MMR, diphtheria-tetanus-pertussis, varicella and polio.